Raphael Precision Imitation Sable Mini Size 2 Filbert - $45.00 Value! 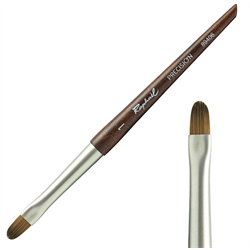 New from Raphaël is Precision, a full range of synthetic brushes that look and feel like natural hair sable brushes. Precision has been designed to create the most accurate brush strokes of any synthetic brush on the market. These brushes hold media well yet have a snap to the hairs that helps retain the shape of the brush from stroke to stroke. They are excellent for use with watercolors, inks, gouache, and acrylic.